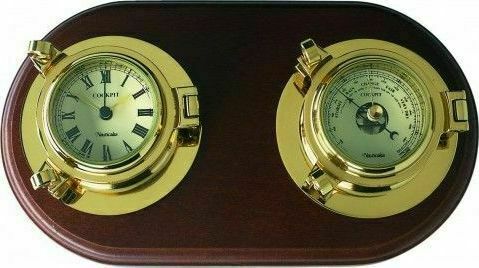 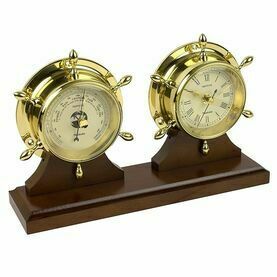 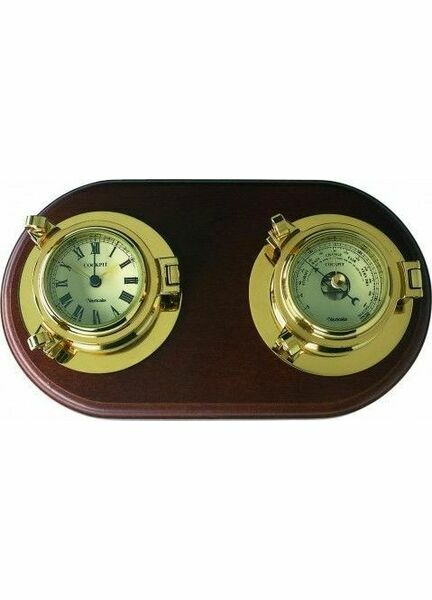 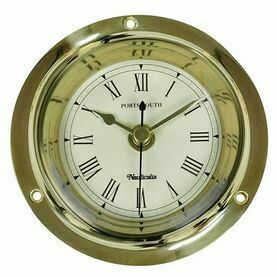 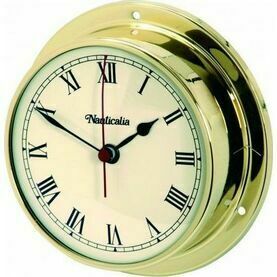 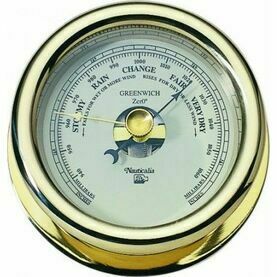 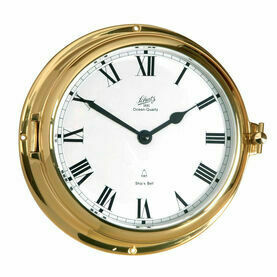 The ‘chunky’ design of these Porthole Cockpit clocks and barometers is what originally made Nauticalia famous in the boating world, thanks to their hefty solid brass casings and bevelled glass fronts. 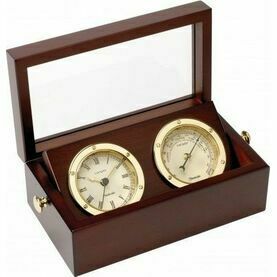 Featuring good quality movement, a silver aneroid for the barometer & battery operated quartz for the clock, plus a clear cream coloured face on each, the Porthole Cockpit collection is an essential for any ship. 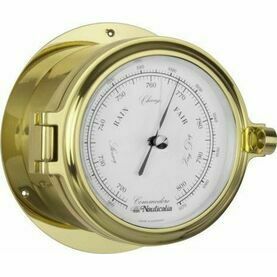 Outside diameter 3½", face diameter 2", depth 1½".